Note : Make reservation at least 1 month before the trip! 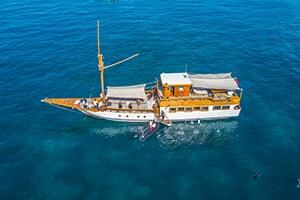 The Bali fast ferry charter is our best offer for private yacht charter from Bali to Gili Islands and Lombok. Using fast ferry is the great option to get to Lombok and Gili island. The fast ferry departs from Sanur beach in the Southeast Bali. 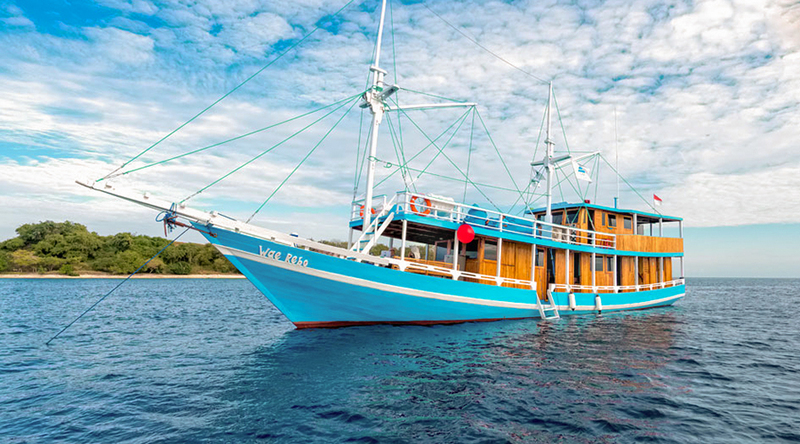 Our 65 capacity ferry could drive you in 2 1/2 to 3 hours from Bali to Gili Islands and Lombok. 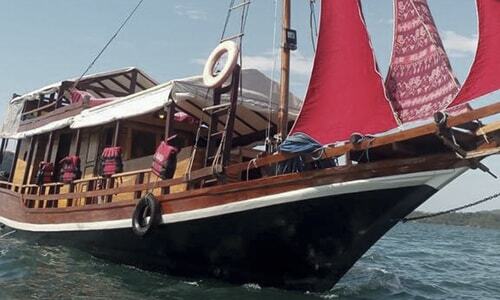 The luxury monohull fast ferry only operate the route between Bali, Gili Islands, and Lombok. 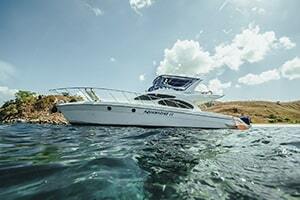 A cozy interior with the luxury seats, the boat run at maximum 40knots. An open deck is provided for the maximum 10 people. Drive the southeast Bali oceanic, catching the sunrise and see some dolphins coming up sometimes. It will one of the memorable cruises on this luxury Bali fast ferry. 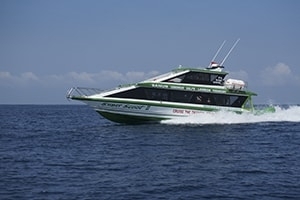 A fast ferry boarding from Sanur beach is an easy way to catch the ferry from South Bali areas. So it is mean, if you stay like in Kuta, Seminyak, Nusa Dua, and Sanur, it is really recommended to get the fast ferry from Sanur. The boarding is at 08.00 AM and then the ferry will leave at 09.00 AM. It goes directly to Gili islands and Lombok. The professional cruise director will let you know each destination and everything on board. Crews are speaking English and are ready for you during the trip. The ferry also provides some cold drinks on board, you need to cost extra for alcoholic drinks like beers and coke.